​Frequent flyers face complications from the changing cabin air pressure, with expert input from the Department of Infectious Diseases and Travel Clinic at Singapore General Hospital.  Frequent flyers experience complications due to changing cabin air pressure. "When the airplane takes off and descends, the cabin air pressure gradually changes. This affects your body in two ways", explains Dr Limin Wijaya, Senior Consultant at the Travel Clinic, and Department of Infectious Diseases, Singapore General Hospital (SGH), a member of the SingHealth​ ​group. As the plane rises, oxygen levels decrease. This creates a certain lack of oxygen, called hypoxia. Gas in your body expands upon take off and contracts when the plane descends. Healthy individuals can tolerate hypoxia well. As for gas expansion, it may lead to a slight uncomfortable popping sensation in the ears. This happens as air escapes from the sinuses and middle ear. As the plane descends, air flows back to these areas to equalize the pressure. This discomfort can be alleviated with ear equalisation techniques. However, a person with anaemia or with a heart, lung and respiratory condition may not be able to tolerate hypoxia well. Likewise, gas expansion in the body can pose risks for a person who has recently had surgery or a medical treatment which has introduced gas into the eye or abdomen. If you have the flu, or ear and nose infections, you may consider delaying your flight until you feel better so that you can avoid ear pain and pressure. If this option is not available, you should use a decongestant or take your allergy medicine before the flight and prior to landing. 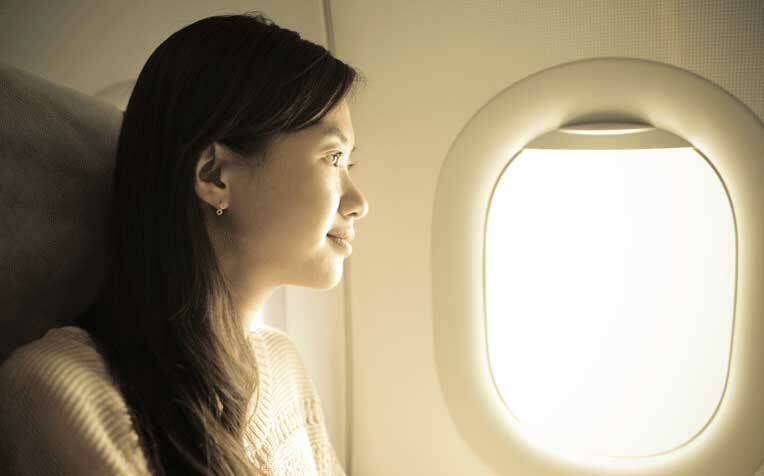 If you have stable asthma, having your medication on hand can help you cope with changing cabin air pressure. If you have recently had surgery, please check with your doctor or a travel physician if it’s safe for you to go on a long-haul flight. Other conditions may allow you to fly, provided you have access to supplemental in-flight oxygen. If you need in-flight oxygen, you will need to check with the airline in advance, as passengers are generally not allowed to bring their own oxygen supply on board.